The Bay Bridge Boat Show is located at the Bay Bridge Marina – the first exit on the right after crossing the Chesapeake Bay Bridge. Take Route 50 to Kent Island, Exit 37 and follow the signs for Boat Show Parking. No pets. For safety reasons, strollers are strongly discouraged. 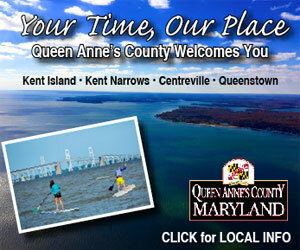 VISIT ANNAPOLIS will gladly assist those attending Annapolis Boat Shows with a variety of accommodations.